Keloids are a type of scar composed of collagen. They can be firm or rubbery with a shiny, brown or pink appearance. Although sometimes painful or itchy, they usually pose no threat to your overall health and are not contagious. Keloids are more prevalent in individuals of African, Asian, or Hispanic descent, though anyone can get them. Keloids most often develop in people between the ages of ten to twenty years old, and unlike other types of scarring, the tendency to develop keloids is passed genetically among family members. But what are some of the other causes of keloids? 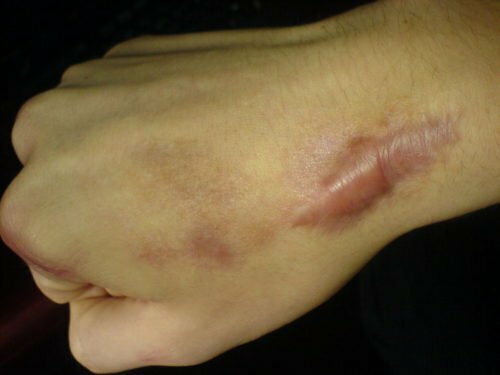 Whether or not a keloid will form is not determined by the severity of the wound—even a minor skin abrasion can result in keloid formation. In fact, while the above injuries are most commonly associated with the formation of keloids, they can sometimes happen spontaneously with no history of skin trauma. Keloids are more likely to develop on the arms, back, ears, lower legs, mid-chest, and neck. They may form as a wound heals, or they may take several months or even years to develop. Rarely, they will continue to grow indefinitely. For some, keloids are more than just unsightly skin imperfections. Keloids can be tender to touch, itchy, or cause a burning sensation. They may become irritated by clothes rubbing against them, or if they’re near a joint and are tight, may limit movement. However, perhaps the biggest problem is their appearance, which many patients may find unsightly. Do you have a keloid that you’re ready to say to goodbye to? Locate a SRT physician today.